Amazing. Robin Williams and Lauren Bacall both dying in one week. I've posted several times in the past on how famous people tend to die in 3's, and people in my office are already speculating about who the third one will be this time. Killjoy skeptics say it's just because humans are built to see patterns and that we notice celebrity deaths more once a really prominent one occurs, kind of like when you buy a Mitsubishi and suddenly you see them everywhere. But I think they're full of baloney. They're the ones who, when you point out a beautiful sunset say, "It's just light being refracted by particles in the atmosphere." 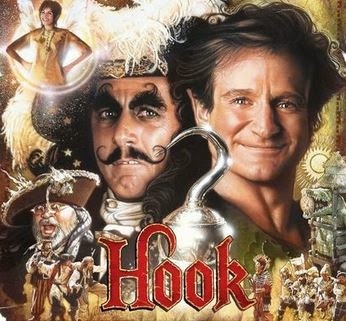 At any rate, my favorite Robin Williams film is the one people tend to hate, Hook. Even Steven Spielberg, who directed it, doesn't have much good to say about it. Critics criticized it, Rotten Tomatoes only gave it a 31, but I loved it. Now, other than Iron Man movies and Star Wars when it was a thing, I virtually never want to go to a movie. But I really wanted to see Hook. It's about one of my core beliefs (probably stemming from the fact that I had an incredibly happy childhood), that the secret of life is never losing your childhood, and specifically never losing your curiosity and sense of wonder about all of this. And Williams is just great at portraying a grown up Peter Pan, the ultimate little boy. When the movie begins Peter Pan has lost his childhood and has no thought or desire to communicate it to his own children. But he learns it again battling Captain Hook in Never Never Land, and takes it back with him when it's time to go. Maybe it was a little cheesy but Robin Williams made me cry in that movie. I think that only he was child and adult enough to play this Peter Pan to such perfection. It's so sad to me that a man like that would be in so much mental pain that he would hang himself. Ms. Bacall I'm afraid I've never been a big fan of, though I liked her (and the whole cast, really) in Key Largo. My favorite role of hers was in John Wayne's last movie, The Shootist. She's up there with Jimmy Stewart, Richard Boone, and the Duke in a good, gritty story about the death of the old west and old western icons, and it's just marvelous to behold. 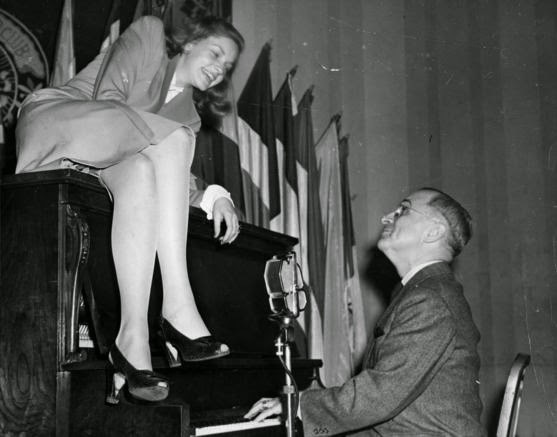 Requiescat In Pace, Ms. Bacall and Mr. Williams.